We are looking forward to seeing you DT applications. Check out the complete creation HERE at the Pie Lane blog! Hello people! 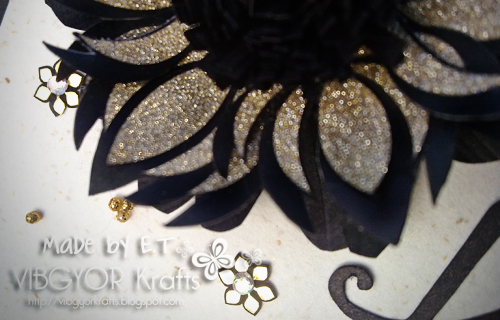 Today I bring to you GingerLoft’s felt, fabric or lace challenge. You can make anything as long as you use one of the items (felt, fabric or lace) and please remember IT IS NOT A REQUIREMENT TO USE DIGI IMAGE/STAMP TO ENTER, just FOLLOW THE THEME. Here is my card, I kept it really simple. The scallops are hand drawn and the image is coloured with regular Faber Castell’s. I added a bit of holographic white glitter, you can’t see it in the picture, but it’s there :) I used a felt trim to fit the theme of today’s challenge. 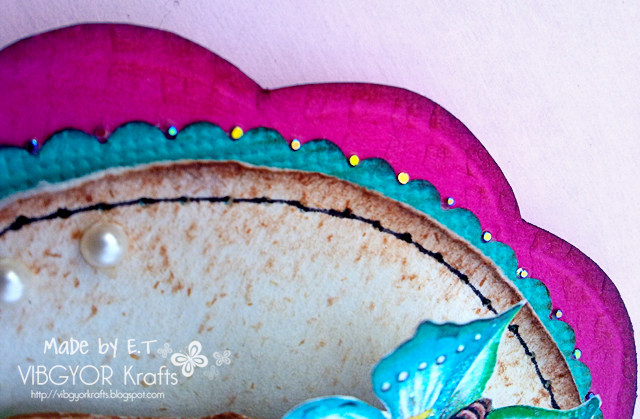 Head over to the GingerLoft challenge blog to check out what the rest of the DT came up with! It’s time for another challenge at Sentimental Sundays and this week the theme is Thanksgiving/Thank You. In order to enter make sure you use a sentiment on your creation! Because I have zero mojo, I have kept my card really simple. I used the colour story at PDCC, my splash is more of a bucket full of orange. I have painted the shaded orange/rust layer with fabric dyes and I sanded the edges to give it a bit distressed look. The glittery black strips are black glitter ribbon. The butterfly is a print out, I have given it an orange tint with regular Faber Castell colour pencils and applied a bit of black glitter. The sentiment is from HA. To view my complete card visit THIS post. See you there!